Every 10 years or so there is a new iteration of wireless technology that boosts speeds and allows for related technologies to arise. Well, that time has come and the next generation of wireless technology is finally here. The rollout of 5G will begin in early 2019 as several cellular carriers plan to offer services in select cities around the country. The experts predict that 5G will be about 100 times faster than the 4G internet speeds we are used to. Some of you may think that the internet is plenty fast already … and you’re not wrong. The current 4G speeds are more than sufficient for casual internet users. But for the technological innovators — think self-driving cars and streaming services — the higher speeds are a necessity. 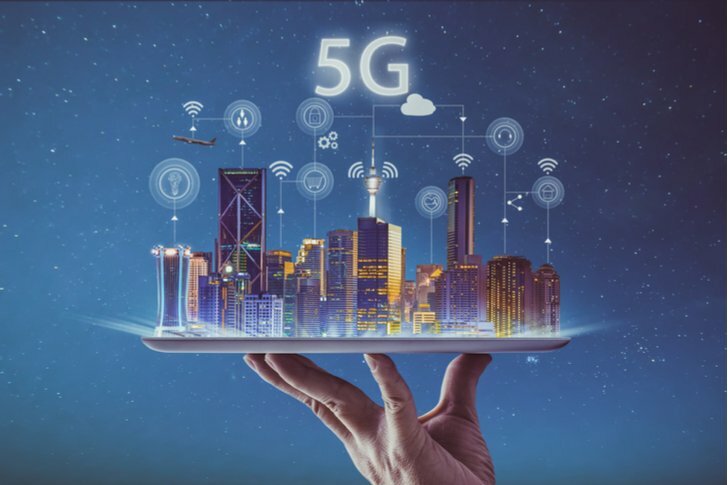 There are several different angles to consider when looking to invest in the growing 5G trend that will likely last for the next decade. The first is the wireless telecom companies that will offer 5G networks to their customers. Verizon (NYSE:VZ), AT&T (NYSE:T), and T-Mobile US (NASDAQ:TMUS) are the big names here, and of the three, TMUS has the most potential. Once its merger with Sprint (NYSE:S) is complete, TMUS will finally be a viable competitor to the two biggest players in the industry. But while the telecom stocks offer upside at a decent valuation, my favorite way to play the 5G boom is through the telecom equipment companies. Ceragon Networks (NASDAQ:CRNT) is a standout here. It’s a microcap company that provides the wireless backhaul solutions needed by wireless providers. The move to 5G will require upgrades, and CRNT stands to benefit from an increase in demand. The final way to play the 5G revolution is through cell tower companies. My favorite name in this space is SBA Communications (NASDAQ:SBAC). The need for more tower space will boost revenue for this $19.5 billion company, and I expect it to capture a lot more business in the coming years. Article printed from InvestorPlace Media, https://investorplace.com/2018/11/the-top-5g-stocks-to-watch-now/.